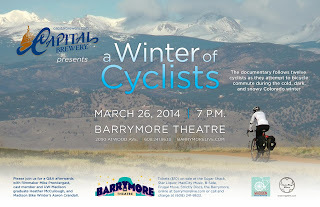 Join us for a one night film showing of A Winter of Cyclists in Madison at the Barrymore Theatre on March 26th. Come out and see what it takes to ride to work all year long or bring a friend and show them what you are already doing. 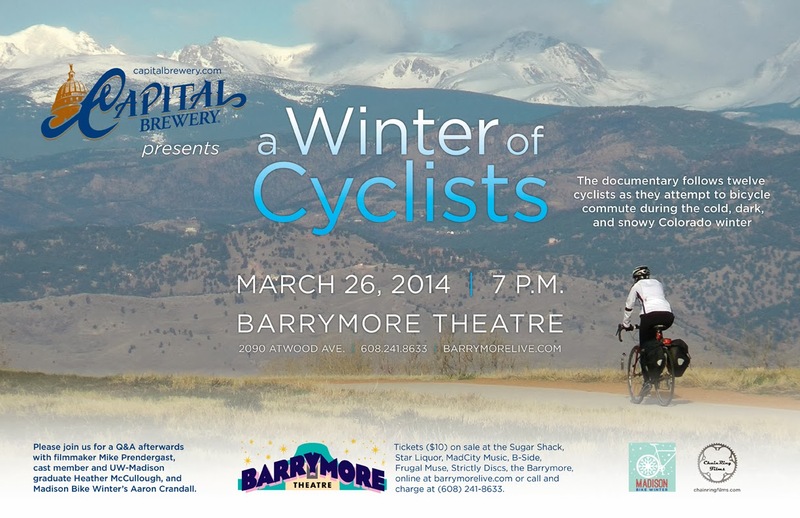 After the showing there will be a Q&A session with filmmaker Mike Prendergast, cast member and UW-Madison graduate Heather McCullough, and Madison Bike Winter's Aaron Crandall. Prize Drawing for Advanced Ticket Purchase All advanced ticket purchasers are eligible to win a cycling gift bag from Machinery Row bicycles. Gift bags will include a water bottle, Machinery Row pint glass, L.E.D. 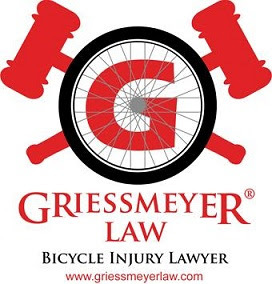 wheel lights, tail light, lock, bicycle map of Madison, chamois butter sample, power food samples, and stickers.